Google is working towards bringing group calling feature as well as a new low light mode on its popular video chat mobile app Duo. Group calling has been one of the most requested Duo features since launch, something that competing apps like Apple’s FaceTime, Skype, Facebook Messenger, and WhatsApp already offer. It’s finally coming to Duo, although only for up to seven people, the Android Police reported late on Monday. Google Duo is quite popular among the Android smartphone users and the app recently crossed the 1 billion downloads mark on Google Play. 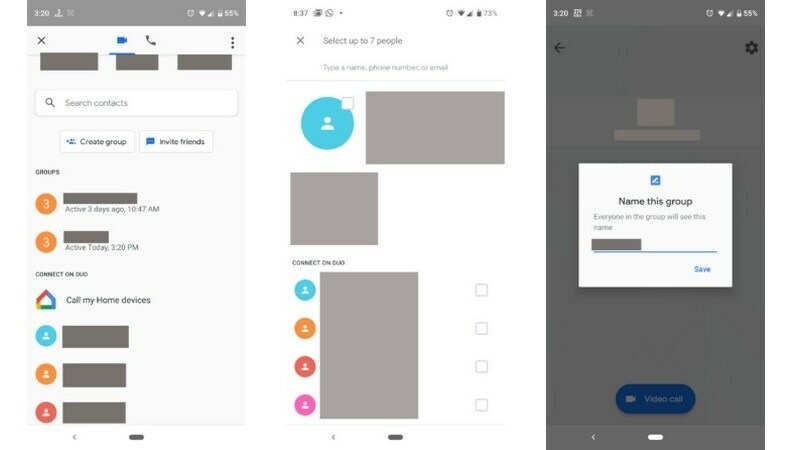 According to the Android Police report, users need to first create a group with the contacts they wish to video chat with on the platform and then they can start a call with all at the same time. The new low light mode essentially tweaks the users’ video so others can see them better during night-time conversations. And you can’t simply download an update to get them – Google appears to be controlling test access on the server side. If you can wait, though, Duo could soon be more competitive with other video-focused calling apps, according to the Engadget. Meanwhile, the Android version of the Google Duo app last week crossed the 1 billion downloads mark in Google Play. The app was originally introduced in 2016, along with Allo, which has since been shut down.